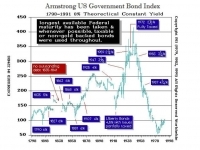 Armstrong - Back in 1985 we warned that the sovereign debt crisis would emerge and start to really surface for 2015.75. Back in 1985 we warned that the sovereign debt crisis would emerge and start to really surface for 2015.75. Why this date was forecast so far back? This is Pi – 31.4 years into this Private Wave which began 1985.65. At the 1998 World Economic Conference, we put out this slide with the sequence of events. One question people often ask is how on earth can we make long-term forecasts like this. Such forecasts are only possible with a vast data base. Without that, you cannot even begin. So for all those who are trying to copy our forecasts the real question is – how did they do this without data? The revelation in forecasting is opposite of what most people assume. They think it is impossible to forecast the long-term and assume the short-term can be done by monitoring fundamental events. The truth is quite shocking. Forecasting the long-term tends to be much easier than forecasting where the Dow will close tomorrow. Why? The short-term is just noise, yet it gets everyone wound up. Every $20 rally in gold brings out the charlatans claiming this time it is it. In reality, the trend cannot be manipulated nor changed even by government for the collective forces of the free market will always win. Even Paul Volcker, former Chairman of the Fed put out his “Rediscovery of the Business Cycle” stating this simple fact – the era of “new economics” (Marxist-Keynesianism) which claimed government could eliminate recessions and the business cycle failed. Then there was Arthur Burns, the Fed Chairman who presided over the birth of the floating exchange rate monetary system in 1971. He too wrote that the business cycle was really INVICTUS (invincible). Yet despite all the behind the curtain admitting that the Free Market always wins, the press, academics in general, and government constantly tell you there is no cycle and you cannot forecast the future so do not listen. Then they immediately forecast strong economic growth the following year. So the real question should be; Why does the establishment (government, academics & press) tell you it is impossible when this is not the case? Even Volcker stated the business cycle was about 8 years. The plain and simple truth is they do not want you to think there is a business cycle for then why do we need them? All they attempt to do is manipulate the people to defeat the business cycle, which NOBODY HAS EVER ACCOMPLISHED EVEN ONCE LONG-TERM. Well, 2015.75 is next week. Long-term forecasts are far more accurate than short-term because you cannot defeat the trend no matter what you do. It’s Just Time. You cannot make up such forecasts with personal opinion no matter how so many are trying mimic us with nothing but opinion. It takes a database and you will only see the trend by correlating everything that moves. One Asian government understands this perhaps best than the West and offered $500 million for a copy of what we have. When we say we have the largest database, it is no joke. Debt has always been the great destroyer. It has toppled every empire known to history. We have compiled debt along with currency movements back into ancient times as well as catalogued ancient financial panics as was the case in Athens back in 354BC. Above is a chart of the Venetian Empire based upon the gold Ducat and it lasted also hundreds of years. Gold did not prevent its demise either. We have tracked debt and interest rates from the core to the peripheral economies to understand capital concentration. When capital concentrates, interest rates decline in that region. This demonstrates how the financial capital of the world even migrates with time. We have used the coinage to determine money supply. Since coin dies were hand-carved, each is unique. Taking someone with modern dies and having them strike coins with a hammer to see how many coins can be produced before a die will break gives us an average. Then cataloging all the known dies results in the money supply. 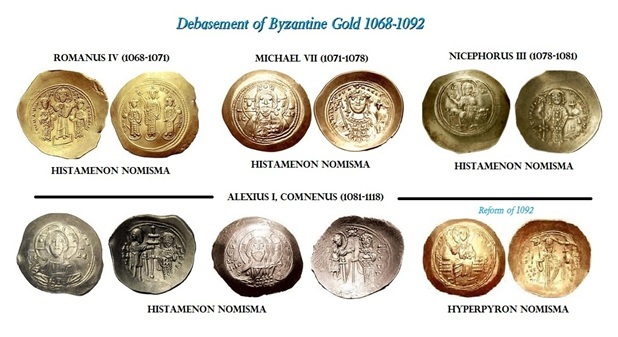 We have mapped everything from the birth of coinage during the 7th century BC on through Greece, Rome, and Byzantium. With the fall of Byzantium, the financial capital shifted to India as a region. India was not a unified country, but city states that also engaged in conquest and warfare. Just how do these people pretending to be forecasting a great crash arrive at such an “opinion” without a database? They do not understand what we are forecasting and are incapable of projecting even the turning points from a gut opinion perspective. We have assembled “imitation” Roman coinage from the outer trading partners. We can see Roman coins were being imitated in India even back into the earliest part of the Imperial era. Yet the history of Rome that claimed to rule the world (orbis terrarum) stood at the opposite end of the world from the strikingly similar Han Dynasty (206BC-220AD) in China, which also claimed to have ruled the world (tianxia). There is the History Book for Tang-Dynasty in China covering the period 618-907AD. Yet the text mentions 17 times what appears to be the Roman Empire . It also describes an envoy that was sent by the Roman Emperor to China. The Roman Emperor was recorded to have been “Anton” or Marcus Aureius Antoninus. The account of such an envoy who visited the older Han Dynasty predates the Venetian traveler Marco Polo (1254-1325) by more than 1,000 years. We have assembled trade flows – everything we could lay our hands on has been collected. So as we approach 2015.75, you can see this trend changing. This is a 5000 year low in interest rates showing the excessive hoarding and concentration of capital in the West. We can also see the debt crisis is unfolding, not just with Greece, but now we are seeing downgrades of France and Japan last week. The trend is so obvious and concentrated in our debt problems as emerging markets have issued since 2007 dollar denominated debt about half that of the entire debt of the United States. We are seeing economic chaos unfold in Brazil and Venezuela. The insane construction of the euro have undermined the entire European banking system and the solution of the ECB, hide the truth. We have the US debt ceiling coming up the very day of the turning point in the USA and this time religion is involved. This has led in part to the resignation of Boehner for he has deliberately funded efforts to defeat anyone within the Republican Party who stood for fiscal conservatism. Then we have Trump rising in the poles because he is not beholding to anyone else. As 2015.75 emerges, we will move into the Pi target from the start of the Economic Confidence Model 1985.65. This will bring us to January 2017 (2017.05). This is also the target on the Cycle of War. The correlation between our models for 2017 will be the topic for the World Economic Conferences in Princeton & Berlin. We will have two years ahead of us and 2015.75 is just the BEGINNING – NOT THE END WITH SOME ONE TIME CRASH EVENT. This is a major change in trend of monumental proportion. 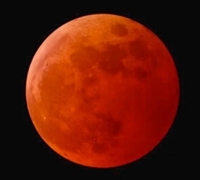 The Blood Moon is a total lunar eclipse which ends up with a copper-red color. This event will be special since it is the fourth in a series of the rare events with an 18-month period which began last April. The September 28 “Supermoon” eclipse will last some 72 minutes, reaching totality at 03:47 (BST). This is 2 days before the turn in the Economic Confidence Model. Why it correlated to this 5000 year low in interest rates and the bubble in government confidence who knows. But it indeed lines up. Just another very interesting aspect for this particular turn 2015.75.